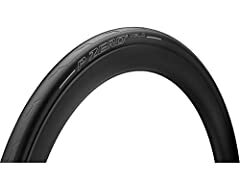 My review of the Pirelli P-Zero Velo tyre, a great tyre at a great price. Nice one….Im just confused on one point. Pirelli not very predictable compared to Contis yet you would pick Pirelli over Conti but didnt really say why? Why do you have a wool cap on your handicapped dumbers water head in midsummer?